When you’re developing a security system, one of the most quintessential security devices is the security camera. Whether it’s for a home or a business, if it has a security system, the chances are that security cameras are a part of the system. However, the term ‘security camera’ extends far beyond what most people think it means. In fact, there are many residential and commercial CCTV cameras that are designed to record footage in many different ways, from infrared cameras to thermal imaging. Here are just some of the cameras that you can incorporate into your security system. Do you need a high-quality security system, but you don’t want to have to deal with all of the wires that might tangle and fray? With wireless cameras, you can greatly reduce the number of wires that you’ll have to deal with, as wireless cameras eliminate the requirement for video and audio cables by transmitting what it receives to a wireless receiver. With wireless cameras, all you’ll have to worry about is the power source, and where the camera will be the most effective. One of the issues with security cameras is that they are often fixed in place, meaning that they can only record from a fixed position. However, this issue is eliminated with PTZ cameras. PTZ stands for ‘pan, tilt and zoom’ and it describe this type of camera’s ability to be able to pan, tilt and zoom, allowing to record far more then the average camera, even in the same fixed position. Dome cameras are very similar to other types of cameras, but their primary difference is that they’re covered by a dome. Dome cameras are available with a range of different domes, from outdoor domes that are designed to defend the camera against the elements, to vandal-resistant domes, which are perfect for homes or businesses who often fall victim to attacks by thieves and vandals. For those who need the highest level of security, there are thermal imaging cameras. As many criminals are aware of the presence of security cameras, especially within businesses, often they will cater for the presence of the cameras by making themselves difficult to see and identify. With thermal imaging cameras, you will always know if someone is in your building, due to the heat signature will they’ll be giving off. 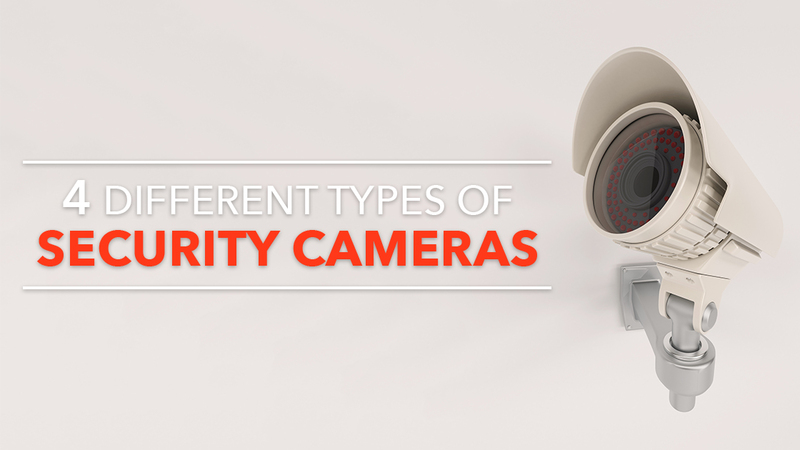 These are just some of the many types of cameras that you can incorporate into a security system. Whether it’s for your home or your business, if you need a high-quality security system, talk to Red Handed Security, one of Sydney’s leading security system installers. We’ll work with you to develop a custom-made security camera system that’s tailored to your needs. If you’d like to learn more, give us a call on 1300 13 40 33 today.